What do you think? 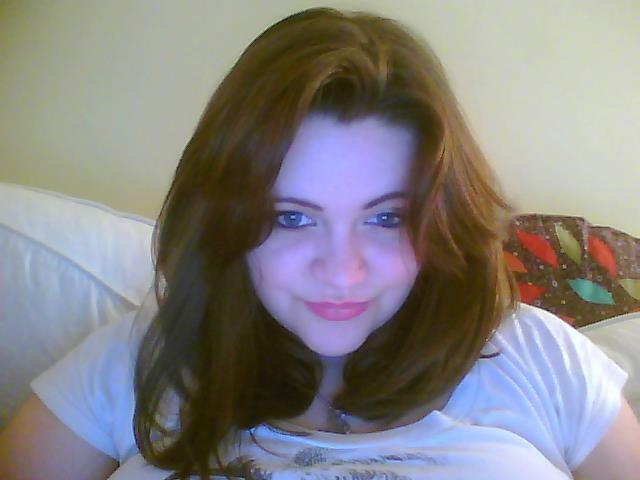 I've had about 4 inches off the bottom and lots of shape and layering put in to give me back some bounce and I love it! The next step is to dye it a nice bright colour, I'm thinking maybe dark purple or red. Makeup wise I've been loving black eyeliner in my waterline recently. Just enough to make my eyes look nice and bright without being too heavy, combined with fairly neutral eyeshadow and dark pink lips. So what do you think of my new hair? Do you think it suits me? And the most important question; red or purple dye? I love your hair like this! I recently chopped off a lot of my hair too. It took some getting used to but now I love it! Looking forward to seeing what you do with the color! Its definitely weird getting used to having so much less hair but I do love it now. it looks gorgeous! mine's getting long now and i really want to cut it into a long bob just to change it up and make it more manageable, but i'm really scared to take the leap!